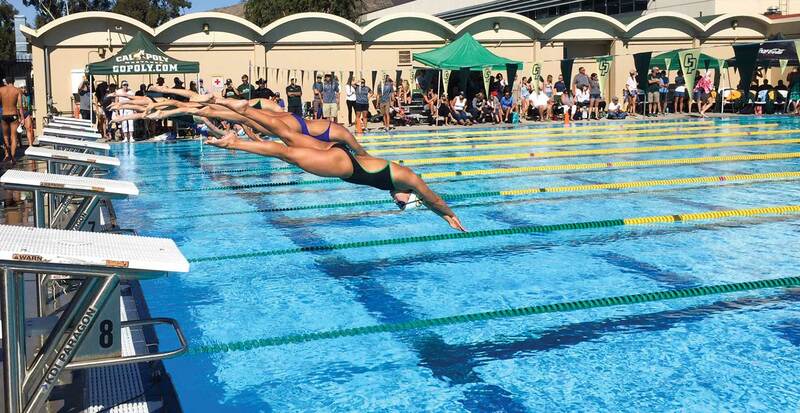 Cal Poly’s pool was cre­at­ed to give stu­dents a pool for swim­ming and recre­ation sep­a­rate from the ath­let­ic pool. 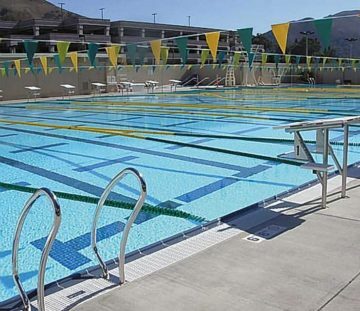 Stu­dents use this 50-meter x 25-yard pool for lap swim­ming, gen­er­al recre­ation and a vari­ety of aquat­ic activ­i­ties. A large ther­a­py pool on the side accom­mo­dates the school’s ADA pro­gram. Built using mod­u­lar stain­less steel tech­nol­o­gy, this pool will have a low­er life­cy­cle cost than pools built with tra­di­tion­al mate­ri­als.